Hand Washing Tips From the “Experts” at 12 Oaks Dental! There are more occasions to wash our hands than most of us think of, like after blowing your nose, coughing or sneezing, touching an animal or even animal feed, and after touching garbage. A clean and sterile environment is the first priority in any dental office, but especially at 12 Oaks Dental in Austin. The CDC and the state of Texas have strict requirements that keep our patients and our dental team safe and protected. We follow or exceed every guideline, for your safety and for ours. Treatment rooms are disinfected before your appointment, we use gloves and masks for even the simplest exams, and we clean and sterilize our instruments after each use. Our sterilization equipment is regularly inspected to make sure it’s working properly. Have you visited our dental office in Austin lately? Call us to make an appointment and experience the highest standards of care and protection. We know how important your dental health is to maintaining your overall well-being, and we want to help keep you healthy for a long time! If you’re looking for a new place to go camping around Austin with the family or friends Cedar Ridge Campground on Belton Lake is a great little get-away. It’s far enough from home that you feel you are going on a mini-vacation but close enough that you don’t have to drive hours. 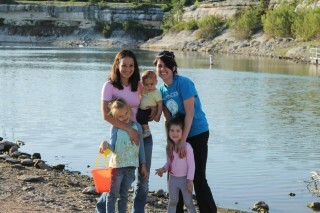 This past weekend Dr. Elyse Cronin Barron and I took our families on a little adventure at Belton Lake. Packing the kids up is always an adventure in its self, as some of you parents out there know, but once we got out there it was a blast! We had a perfect campsite right on the edge of a small slope looking over the lake (Site 12). Izzi and Kinsley took off to play down at the beach right while Dr. Cronin and I put up the tents . I’m sure it was hilarious to watch us, with the wind blowing and Dr. Cronin’s tent trying to blow away while we were staking it down! Once camp was set, it was time to relax and enjoy the view. Baby Zane was really enjoying being out in the sun, even though he wasn’t allowed to crawl in the rocks like he wanted! Zane (my boyfriend) and Cade met us down there, we started the fire blazing and hotdogs cooking over the grill. The little girls didn’t last too much longer after marshmallow-less smores (Dr. Cronin forgot them…) or as we affectionately called them, chocolate sandwiches, and snuggled up together in the tent. The forecast called for near freezing temperatures but we were prepared! Luckily, I had come prepared with lots of heavy blankets, but let me tell you it was not easy keeping the blankets on with a squirmy 3 year old who wanted the entire air mattress to herself. We made it through the night though, had a yummy breakfast around the fire and packed it up! We had so much fun, and can’t wait to do it again (when it’s warmer that is!). Who doesn’t enjoy a great night out in Austin with the family? What better All American past-time than a good baseball game? Whether you actually enjoy the sport, Round Rock Express has a lot to offer. Bring a blanket and sit in the outfield, or try your hand at rock climbing! 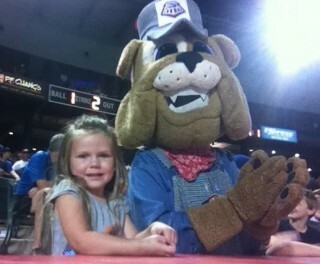 Kids always enjoy the chicken dance and cheering with Spike, the team mascot! Friday nights are always a big hit with their fabulous firework display immediately following the game. Opening day was April 4 and the season runs until September. Baseball is one of Terri’s favorite sports, you may even spot her and her granddaughter in the stands… you can almost guarantee they won’t be leaving without taking home a game ball! If you look around you also may see others from our 12 Oaks Dental Austin family! Notice we don’t say “smokers.” There is NO safe tobacco product, despite what you might hear. Even smokeless tobacco, pipes, and clove cigarettes increase your risk nearly 100 times more than non-tobacco users. The human papillomavirus (HPV) is a sexually transmitted virus that causes approximately 25% of head and neck cancers, including oral cancer. You probably have annual and periodic health checkups and cancer screenings. Why not put your dental care on that list as well? Please call our Austin dental office at 512.346.5196, especially if you’ve been putting off your regular checkup. We’d like to see you for a long, long time! Do you know your Austin dental family? 1) Who graduated from McCallum High School in Austin? 2) Who is originally from Seattle? 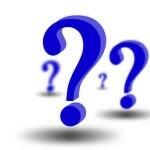 3) Who lived in Germany for 5 years? 4) Who has a granddaughter named Ryleigh? 5) Who was born in Arkansas? 6) Who served in the United States Air Force? 7) Who has a chocolate Labrador and a mini Dachshund? 8) Who grew up in Houston? 9) Who did mission work in Guatemala? 10) Who has a photography business?